Britain is a divided nation. Some of us hate foxes; others of us love them. It’s a split reflected in the literature on which we grow up, from the sandy-whiskered trickster in Jemima Puddle-Duck to the enterprising altruist in Fantastic Mr Fox. In modern Britain, foxes seem to get the brunt of our ambivalence about nature. On the one hand, we’re a nation of animal lovers, pampering pets in our homes and feeding the birds in our gardens. But the urban foxes who invade the spaces we like to think under our control are subject to fear, loathing and negative media reports, while in the countryside, they – or their symbolic representatives, depending on your perception of trail hunting – are hunted to death in a showy, bloodthirsty ritual. Quite accidentally, I found myself in the midst of these conflicting attitudes when a fox cub arrived in my suburban garden, apparently asking for help. For a few months, I gave him the care he sought and then he went on his way, an adult fox calmly patrolling the streets of south London. 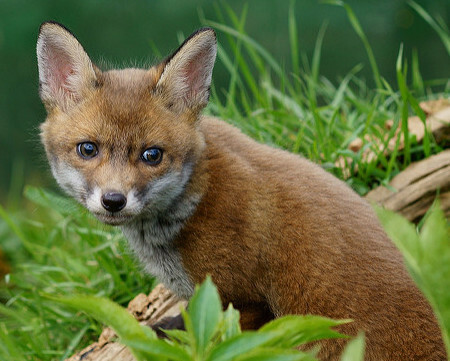 The experience converted me from (where foxes were concerned) a kind of right-wing liberalism – basically tolerant, but prone to irritation when my interests were threatened – to out-and-out love of Britain’s most controversial mammal. Before Little Fox, I regarded foxes as a pest that messed up my garden; after him, my understanding of their needs and fears placed me in the tradition of sentience, which acknowledges other animals as beings who share with us the capacity for pleasure and pain. It’s the tradition that placed Britain a leader in animal welfare legislation, a position that Brexit has called into question. But that’s another story. On my journey to vulpine love, I promised myself that, when circumstances permitted, I would explore how humans can help foxes in an organised way, as part of the wildlife rescue work that is the on-the-ground expression of the national love of nature. And so it was that, five years later, having moved to the West Country, I became a volunteer at Secret World Wildlife Rescue in Somerset, following the progress of motherless fox cubs from their arrival in spring to their release back into the wild in autumn. It so happened that the trio of fox cubs whose progress I followed exemplified the British hate-love of foxes: orphaned because their lactating mother had been shot by a Devon farmer; rescued thanks to the chain of concerned people who led them to the rescue centre and then looked after them as they grew to adulthood. The short book detailed below chronicles my experiences of both accidental fostering and organised animal care, a relationship with an urban fox cub and the observation of rural foxes. Along the way, it also reveals something about the realities and complexities of modern conservation, and a bit about humans. But more than anything, it shows how Britain’s most controversial mammal is possessed of an irrepressible will to live and be free. 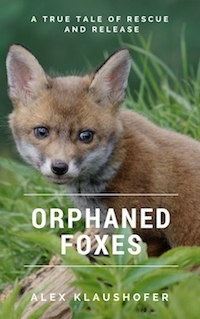 ‘Orphaned Foxes’ is available as an ebook and a paperback on Amazon and can be ordered in bookshops.